Pablo Picasso research papers examine one of the most well known artists of the 20th Century and discuss Picasso's works and influnce in art history. Picasso’s desire to express himself with increasing urgency led Picasso to create in an unconventional manner. For the artist Picasso, this meant any time of day or night despite his location. He felt that “expression was immediate” and the force to create must never be missed. Picasso lived life as an adventure and his life and painting were combined into one. This unique quality of creativity allows Picasso the person to be seen in all of his works. Picasso’s paintings are suffused with realism that transcends artistic genius in a way that opens up a variety of expressions. All of which are encompassed in Picasso the artist as well as Picasso the person. Collections of symbols rather than expressions of reality. They are expressive shapes in a work of art. Picasso’s deformed objects are not grotesque when the entirety of the painting is viewed as a deformed world. Picasso was a master at this form of composition. For example his painting of Minotauromachy is comprised of grotesque apparitions of both man and beast. A more in depth look offers an understanding of the abstract meaning that Picasso seeks to portray. Various interpretations have been given to explain this painting but the full content can only be found in the mind of the artist. At any rate it is more than deformed figures. it is symbolic of a deformed world. Another example of this deep level of abstraction is found in Picasso’s Guernica. Commissioned by the Spanish Government as a mural at the Paris World Fair, Guernica embodies the ravishing of Spain by the Fascists in World War II. Picasso condensed the devastation of the city of Guernica into a story of “carnage and castration” that he could fit into the confines of a mural. Guernica, however transcends both space and time to encompass a much grander totality of the events taking place at the time of its painting. Picasso chose many of the same figures and images for Guernica as found in Minotauromachy. This can be understood as his use of central figures to the culture of Mediterranean peoples. For instance, the bull is a noble figure in Spanish tradition; hence Picasso uses this image quite frequently in his works. Several other images of notable significance are the mother and child, the horse and bird. In Guernica, Picasso uses each figure to represent the oppression yet pride of the Spanish people. While the bull represents strength and nobility, the horse is expressing passivity and suffering. The mother and child represent lamentation and death, while the bird signifies an attitude of peace. Picasso strategically combines each of these symbols to tell the story of war torn Guernica. The evolution of Picasso’s painting style began with his works before Modernism between the years 1894 an 1897. He was still just a boy but his artistic genius moved rapidly through this period. A particular painting form this period, Man with a beret, is a compelling realistic piece that Picasso obviously used as a study in naturalistic style. A sobering composition, this painting may have been for the purpose of executing various styles for Picasso to draw from his memory at a later date if necessary. Finally another painting from this period, Science and Charity, is a study in Impressionism mixed with Symbolism. The painting is a depiction of a doctor and a nun beside the bed of a sick woman. When compared to the French masters, Science and Charity challenges their works at the peak of their careers when Picasso was yet a boy. In fact the painting Science and Charity won an honorable mention at the National Exhibition in 1897 and a gold medal at the provincial exhibition in Malaga. Girl Before a Mirror - Pablo Picasso was a contemporary of Sigmund Freud and some of Europe's greatest impressionist painters. Art from 20th Century Western Civilization - Spanish artist Pablo Picasso's “Guernica” is submitted as one of the most important and representative works of art exhibited in the early twentieth century. Cubism - Cubism research papers discuss the major artistic movement of the early 20th century that revolutionized painting and sculpture in Europe and gave birth to the avant-garde. Spanish Art - Spanish Art research papers discuss the art from Spain that make up a major contribution to the history of Western Art. Lise Sewing by Renoir - Lise Sewing by Renoir research papers explore the renaissance era painter and his use of color. Dadaism - Dadaism was an international art movement that took place between 1915 and 1922. Modern French Culture - Pablo Picasso research papers examine one of the most well known artists of the 20th Century and discuss Picasso's works and influnce in art history. 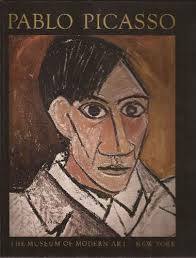 Paper Masters writes custom research papers on Pablo Picasso and examine one of the most well known artists of the 20th Century and discuss Picasso's works and influnce in art history.